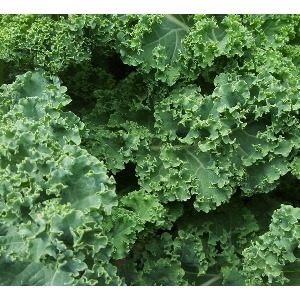 Kale is ready to harvest when the leaves are about the size of your hand. Pick about one fistful of leaves per harvest. Avoid picking the terminal bud (found at the top center of the plant) because this will help to keep the plant productive. The small, tender leaves can be eaten uncooked and used in salads.